Have you ever worried about the customers you may be losing in your off-hours? What would it be like if you could hire someone to take care of your website leads 24/7/365? And not even have to pay them? Ella is trying to find out if she can get last-minute supplies for a party she’s throwing tomorrow. She starts at a site called ABC Corp, but the support is unavailable because of the odd time of day. She tries another site, Zylker. 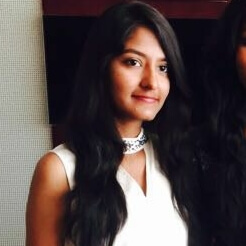 Relieved to see live chat available, she keys in her details and begins the chat. Chloe, a bot, greets her and assures her that she’s guaranteed a 24-hour delivery for any location within the United States. Ella places her order for the items and makes a mental note of Zylker—her future go-to store for party orders. Which of these businesses would you like to be? That’s exactly why we’re integrating with Sundown.ai. 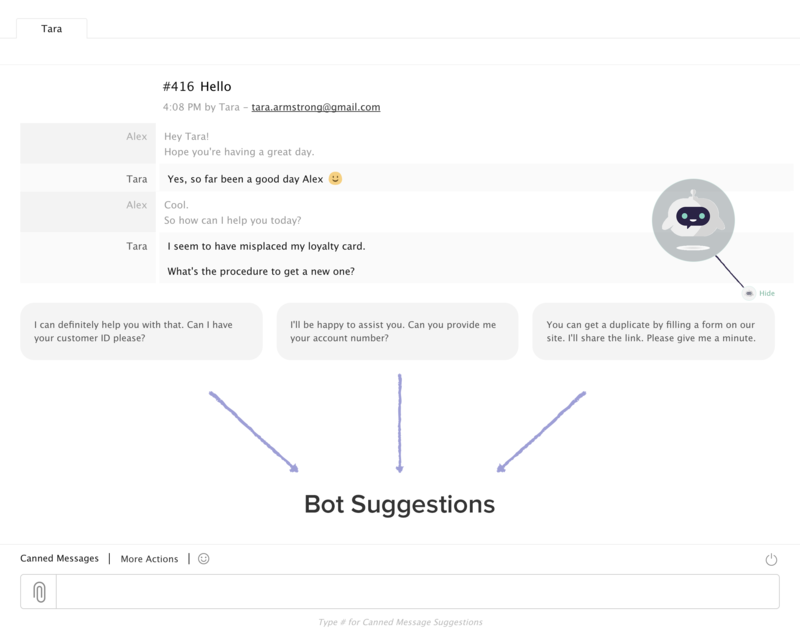 Chloe, the Sundown bot, works for you when you’re asleep, when you’re busy handling multiple customers, when new customers ask common questions, and when there are repetitive tasks to do. She’s an expert at understanding agent-customer interactions once she’s been fed with past chats. Built with machine learning, natural language processing (NLP), and graph algorithms, Chloe gets better with every interaction. It’s also possible to train her by manually structuring Q&A pairs. What can Chloe do for you? Chloe can answer simple questions from customers regarding sales and support. Repetitive tasks, like answering common questions from new customers, low-value support and sales inquiries can be completely automated, thus ensuring timely resolution of support requests. This also means agents have more time to deal with important cases. 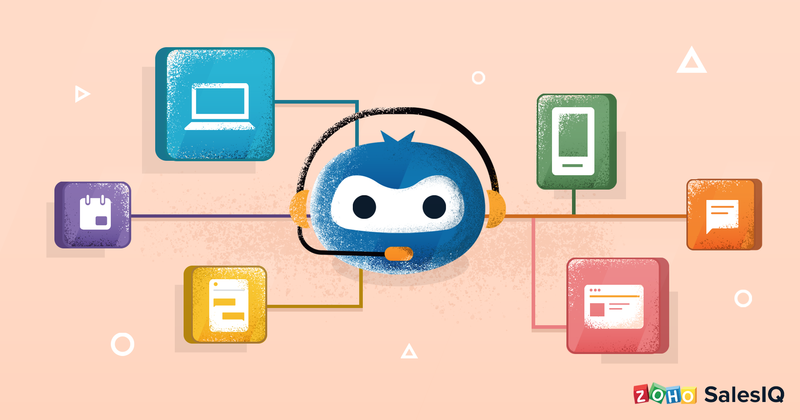 If agents are online, customers can always choose to connect with them at any point in their conversation with Chloe. If agents are offline, customers can leave a message after talking to Chloe. What’s most interesting about Chloe is that she engages in conversations by identifying the context, sentiment, and intent of the customer. This helps her learn which of her responses elicits a more positive reaction from customers—constantly improving the quality of her service. 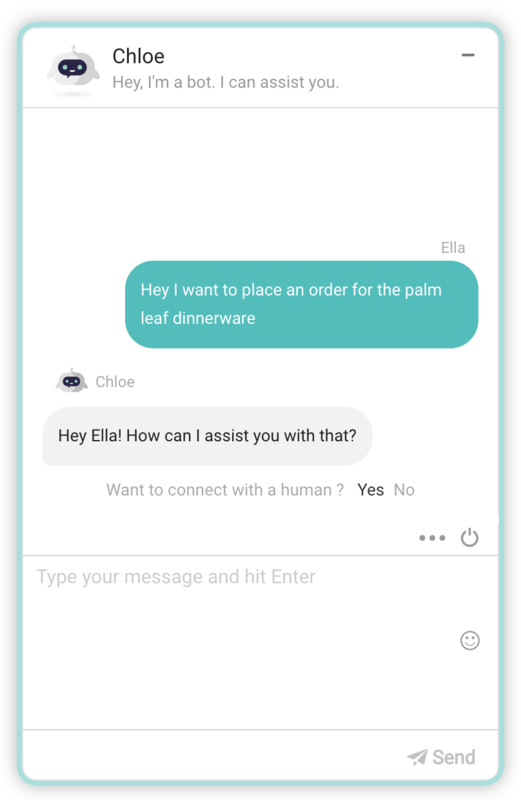 Chloe also helps agents when they’re chatting with a customer, by providing relevant options to answer a question (somewhat like your Google Assistant). The agent can choose a suitable reply in a flash. The choices made by agents further facilitate Chloe’s self-learning—improving her future interactions with customers, and her reply suggestions to agents. 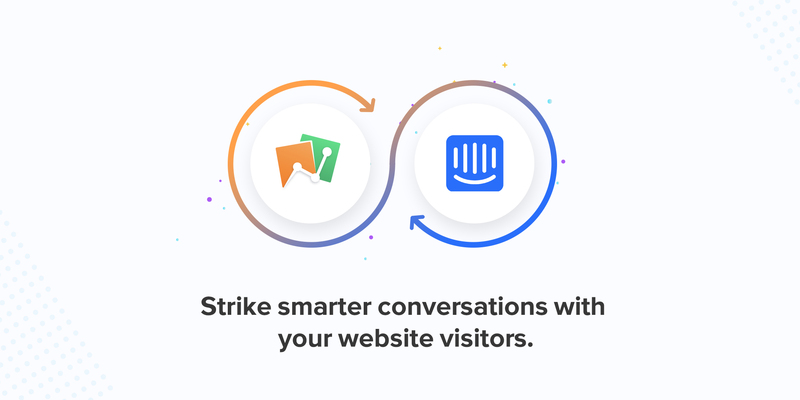 Got hundreds of visitors asking questions? Relax, Chloe can handle any number simultaneously. Instead of being scared of sudden traffic surges, you now can celebrate them. To commemorate this new integration, Sundown AI is offering an exciting promotion for new Chloe and Zoho SalesIQ users. The promotion allows unlimited Chloe usage within SalesIQ for 1 month, however other conditions apply. You can learn more about this promotion at http://www.sundown.ai. Looked on the Chloe site and they have no published pricing. I find it hard to commit to a free trial without knowing the cost in advance. Although I am TOTALLY INTERESTED the practice of providing a price only after a scheduled demo has put Sundown.ai to the very bottom of the list. Really sorry about that. However, I’ve forwarded your feedback to the concerned people. Regarding the pricing, it’s 3 cents per message, but they also have a free tier that provides users with 1000 free credits per month. Hope that answers your question. Thank you for the response. Based on that I will certainly create the trial. How do we add it to our site? Once you login to your SalesIQ account, go to the Integrations tab under Settings, you can find Sundown listed here. Refer this page for a detailed explanation on how to enable the integration and how to use it. Hope this helps.